Watch on 123movies new site free online movies without downloading. The East European Shepherd Dogs are beautiful, proportional and very large dogs, the maximum height of which is 76 cm and the weight is 60 kg. The body is slightly stretched, the muscles are well developed, dry, the back is long, strong, the loin is muscular, slightly arched, the chest is wide and oval, the limbs are well developed and parallel, the paws are round. The neck is strong, the head is proportional, wedge-shaped, the transition from forehead to nose is pronounced, but not sharp. Jaws developed, scissor bite, lips dry, tight. The nose is large, black. The eyes are medium in size, oval, dark; look curious, confident. The ears are erect, set high, triangular in shape, the tips of the ears are directed up and forward. The tail is saber-shaped, in a calm state, it is lowered down, in the active state the tip of the tail is gently bent upwards. The coat is thick, rather stiff, of medium length, with a developed undercoat. Color: black with a mask on a light background, black, etc. The East European Shepherd Dogs are very intelligent, curious and perfectly trainable. In addition, they are obedient, because They do not seek leadership qualities, and, as a rule, are friendly to other pets, especially if they are in contact with them from childhood. Moreover, the developed instinct of the defender encourages the shepherd to take care of medium-sized and weak pets, therefore, East European Shepherd dogs are often friends with cats and small dogs. Shepherd dogs also cherish children and can play with them enthusiastically for several hours. 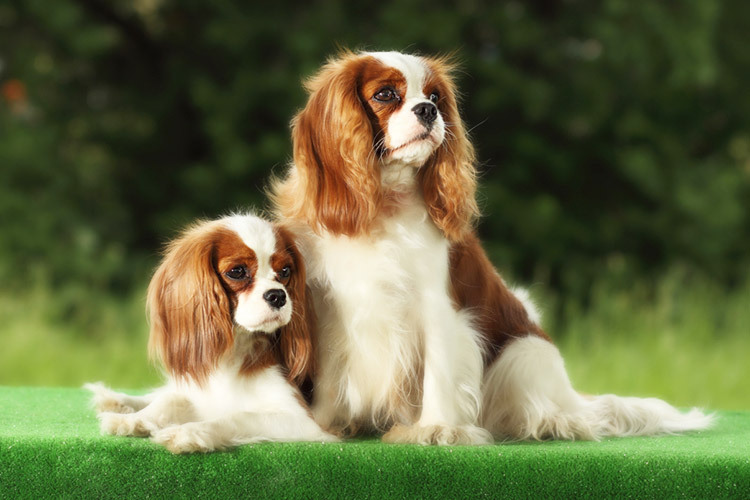 However, the friendly and good-natured qualities of their breed, these dogs reveal only in a family setting. Caught among strangers, shepherd immediately becomes restrained, and in case of danger, immediately comes to combat readiness. In general, these are intelligent, loyal, courageous and active dogs with a lively temperament and an endless supply of vigor. They are often common favorites of the family and, thanks to their intelligence and endurance, are actively used to serve in various structures. Usually, Eastern European Shepherd dogs have good health and strong immunity, protecting them from many diseases. 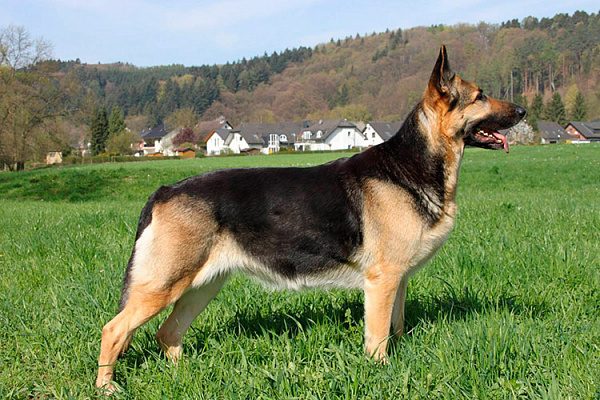 The East European Shepherd Dogs are unpretentious and need only standard care. For good health, they need a balanced diet and exercise. Dogs are recommended to regularly comb and bathe no more than 2 times a year. Shepherd dogs should be kept in aviaries or apartments, but it should be borne in mind that active games and movement should be a daily component of a dog’s life. 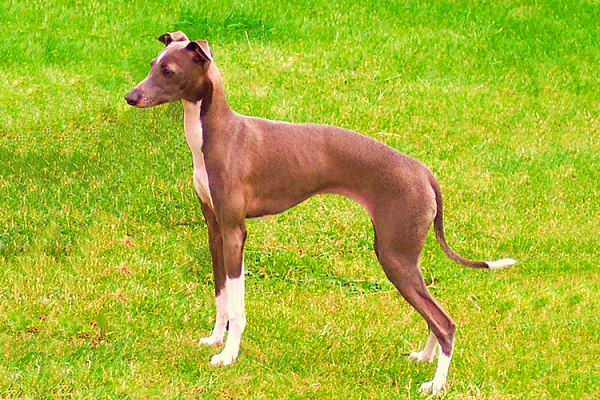 This breed was bred in the USSR in the 1930s. East-European shepherd dogs were originally created for military service, because the dogs are intelligent, hardy and resistant to adverse weather conditions. The ancestors of Eastern European shepherd dogs were German shepherds, the similarities with which are obvious to this day. When the world was gripped by a wave of negativity towards Germany, talented Soviet breeders adjusted the German Shepherd Dog, and called the new breed the Eastern European. The first official breed standard was adopted in 1964. At first, the breed was recognized by the Union of cynological organizations of Russia, and later by the Russian Cynological Federation. However, today the breed remains unrecognized by FCI, which regards East European Shepherd Dogs as a type of German. East European Shepherd Dogs are real heroes who defend their country many times. They are the gallant participants of the Great Patriotic War, and on Poklonnaya Hill there is even a monument to the East European Shepherd Dog, symbolizing all the front-line dogs, brave defenders of our Motherland. Sheep-dogs served in the Chechen war, where they also showed heroic qualities. One of the most famous dog heroes, the shepherd dog Elga, saved dozens of soldiers from death, first of all detecting the mines and ammunition of the enemy. In the town of Primorsk-Akhtarsk, a monument was erected in honor of this dog. In addition, the East European Shepherd Dogs participated in the Victory Parade of 1945 as the most patriotic and brave dogs.